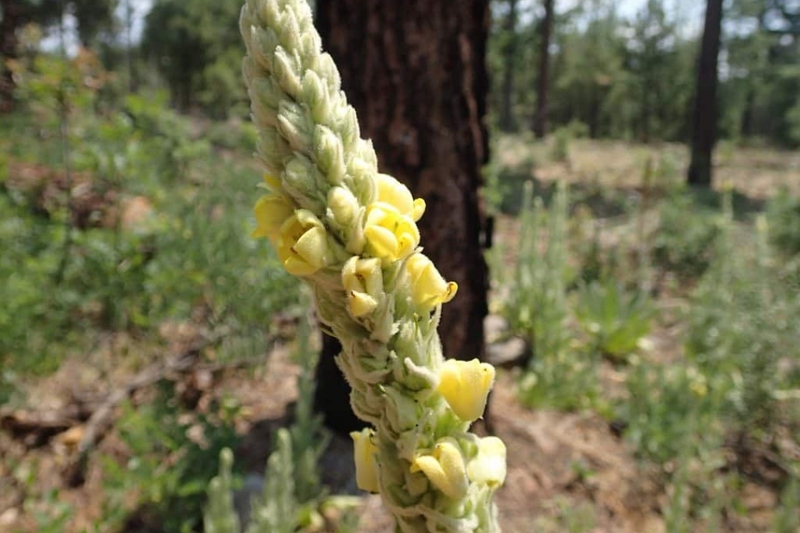 Common Mullein (Verbascum thapsus): growing, planting, caring. A plant widely used for herbal remedies, with emollient and astringent properties. Full description for Verbascum thapsus not yet available. The seeds of mullein are tiny! As often with small seeds, they need light to germinate! Sow them just on the top of the soil mixed with sieved sand. Remember to tamp well and keep the earth moist for the first few days. The seeds should germinate in one to two weeks. You can plant in the spring or fall depending on the availability of the plants. We recommend planting these perennials rather than sowing them: find them a spot in a poor drained soil with limestone, in the sun. Plant them far away from each other - plan about 40 centimeters between each plant. To prepare the ground, operate the classic triptych: digging with the pitchfork-scratching-raking to unclamp - break the clods and remove the biggest particles. Plant without burying the stems. After planting do not forget to water copiously! Two weeks after sowing, it is better to thin out your molenes by keeping only one every 20 cm. You can replant the plants that you tear off by spacing them. Watch for whitish spots on the leaf surface: it is a sign of powdery mildew. If you see it, it's often related to excessive moisture on the leaves. In case of major damage, first remove the damaged parts of the plant, then spray a mixture of 1/10 of milk to 9/10 of water each week until the disappearance of symptoms.